Maggie Realley has been playing and studying both piano and organ since the age of nine. After two years of playying piano, she began studying organ with Asa (Ace) Pancoast until the age of 17. Upon returning to school for her degree in music education, Maggie studied under Edward Ferdinand for classical piano, Tom Lawton for jazz piano, and George Gray for voice. This then led to her 12 year post as Director of Music at St. Luke's UCC in Philadelphia, PA. She also held these positions at Forest Grove Presbyterian and Salem UCC in the Doylestown area. 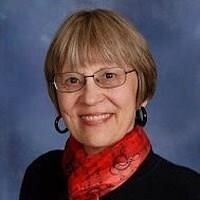 Maggie now holds the Director of Music position at St. James UCC in Havertown, PA.
Request Lessons with MARGARET today!